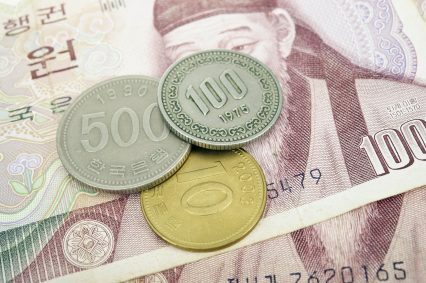 Korea Trade Insurance Corporation (K-sure) aims to increase its export support to W196tn (US$159bn) in 2016, a 17% increase from last year. The announcement comes at a challenging time for South Korea’s export sector. The country has seen 13 consecutive months of export decline, counting for a 18.5% drop compared to the previous year, the biggest fall since August 2009. Exports are suffering from declining demand in key sectors like ship building and refined petroleum and from export partners like China, which counts for a quarter of the country’s exports. K-sure will increase support to small and medium enterprises (SMEs), to which it allocates W46.5tn. The insurer will offer a 25% discount in insurance premiums to export products manufactured by SMEs. The Asian Infrastructure Investment Bank (AIIB) is also seen as an opportunity to tap into, as K-sure plans on expanding overseas investment insurance to cover collective investment schemes such as overseas infrastructure funds for Korean companies in emerging markets. The country’s strategy for 2016 includes overseas project financing support and export diversification, targeting food and culture-related industries by developing an exporters’ guarantee system and an investment fund for those sectors, as well as revamping the technology sector, reducing regulatory constraints to encourage more private investment – the government hopes to see W44tn invested over the next three years. Tapping into emerging markets is a priority, too. The relaxation of the sanctions regime in Iran and Cuba offers the opportunity to expand and grow export destinations, and the country’s trade ministry announced it would increase support for Korean exporters looking to enter those markets.